Mimmi Söderberg Kovacs and Jesper Bjarnesen present the key findings from their new edited volume, Violence in African Elections: Between Big Man Politics and Democracy (Zed books), which contributes to the understanding of why and how actors engage in acts of electoral violence on the African continent. 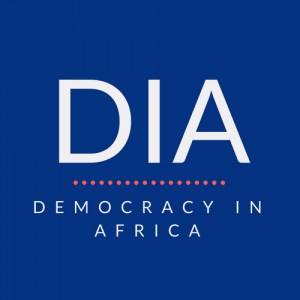 There is a seeming paradox at work on the African continent: During the course of the last couple of decades, democracy has established itself as the dominant political system across the African continent. As an integral part of this process, the holding of multiparty elections has emerged as the most important mechanism for the distribution of political power. Yet, at the same time, we have witnessed a growing trend of electoral violence. Why is this the case? 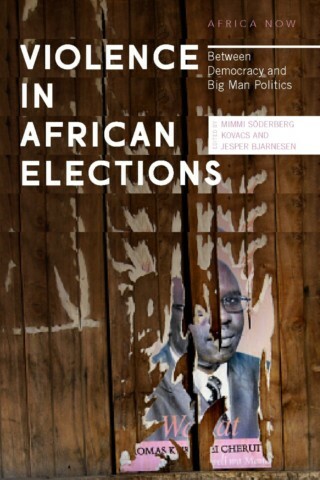 In our new edited volume, Violence in African Elections: Between Big Man Politics and Democracy, we argue that although the formal institutional make-up of many African states have changed, and real political competition has increased, the underlying logic of politics have not. Power and resources are still largely concentrated at the centre, raising the stakes of elections. The winner literally takes it all, while the loser(s) standing small, as the famous tune goes. Every individual in a strongly politicised system need to make sure they have placed their bets on the right horse in the run-up to elections, in order to secure that business contract, take up that position as Dean at the university or keep the job as clerk in the state bureaucracy. But the vulnerability runs in both directions. In order to win elections and maintain power, aspiring politicians need to distribute goods and services to their loyal followers. A so called Big Man without something to offer quickly loses his or her networks, status, and influence in the system. Importantly, beyond the relatively few cases of extreme violence and insecurity that make it to the international headlines – such as Kenya in 2007, Zimbabwe in 2008 and Côte d’Ivoire in 2010 – there are a multitude of countries that experience the everyday kind of electoral violence, which is low-scale but pervasive and typically occurs long prior to election day, between electoral cycles, and in local elections far away from the international lime light. The strategic electoral game in an ever-ongoing process and an integral part of party politics itself. Hence, electoral violence is a phenomenon that is not limited to general and national elections, although these tend to generate the greatest attention. But electoral violence is more than just physical violence. Violent language and verbal threats cloaked in coercive and derogatory references can shape electoral outcomes even in “peaceful” contexts. As demonstrated in the chapter by Afra Schmitz, in political environments coloured by ethnic and regional stereotypes and a previous history of local conflict dynamics, violent discursive practices can be used as an effective mobilising force in political campaigns. This has for example has been the case in Ghana, otherwise known as Africa’s democratic success story. Likewise, while the mobilisation of violent actors – ex-combatants, so called “macho men” or organised armed groups – can be an effective tool in the hands of aspiring politicians, sometimes the mere association with (formerly) violent actors can pose a latent and effective threat. As if to further underscore this point, both the dominant public discourse and the language and terminology used by the parties are frequently cloaked in symbolism associated with battle and warfare. This is perhaps not so surprising, as a large number of post-war African states have witnessed the emergence of so called warlord democrats: former military or political leaders of armed groups who subsequently partake in electoral politics. In order to better understand the more specific patterns of variations of violence across space and time within a single country, we suggest that it is useful to apply a sub-national perspective which links macro-level event and processes to micro-level dynamics. For example, Willy Nindorera and Jesper Bjarnesen argue in their chapter that in order to understand the particular geography of violence in the capital of Bujumbura in connection to Burundi’s 2015 elections, we need to be aware of the pattern of ethno-political loyalties and socio-economic inequalities which have been shaped by the country’s previous civil war dynamics. Likewise, in order to understand why the eastern district of Kono in Sierra Leone has seen such high levels of electoral violence, Ibrahim Bangura and Mimmi Söderberg Kovacs point to the district’s role as a critical swing district in a country otherwise driven by a relatively sharp and predictable regional and ethnic logic in terms of voting pattern. On the African continent, it is commonly the case that unresolved land issues at the local level are being exploited by national politicians in order to gain local support. Matthew Mitchell demonstrates in his chapter how this logic has played out in Côte d’Ivoire’s far west cocoa regions. As demonstrated by these examples, this book supports a fundamental feature of electoral violence which is reflected in almost all existing definitions of the phenomena in the scholarly literature, namely the instrumentality of such violence and the strategic motives of the actors involved, who aim to influencing the electoral process or its outcome. This does not exclude the fact that behind and beyond this picture, we find a range of additional motives particularly at the level of the group and the individual. For example, in a large number of African countries, young people – mostly men – play an important role as “foot soldiers” of electoral violence. In the chapters by Mariam Bjarnesen and Tarila Marclint Ebiede, it is shown how formerly armed combatants in Liberia and in the Niger delta respectively are mobilised for violence by a range of different motives, such as access to short-term benefits and private score settling against rival groups. In some instances, they engage in violent activities without any prior contacts, encouragement, or instructions from Big Men, hoping that their sacrifice will be noticed and rewarded. However, it is clear their violent behaviour cannot be understood outside the context of the instrumentality of electoral violence for the political elites. In line with previous findings, our book also support the notion that the key culprit involved in electoral violence is usually the incumbent party. In their chapter, Hanne Fjelde and Kristine Höglund trace the dynamics of electoral violence in Kenya to exclusionary ethnic identity formations and ethnic outbidding strategies used by the elite under single-party rule in order to control patronage resources. The legacies of injustice created through this practice subsequently shaped the pattern of elite competition and mass electoral support during the era of competitive party politics. In Anders Sjögren’s chapter on electoral violence in Uganda, he shows that the degree of government-sponsored violence across several elections is strongly predicted by the anticipated electoral competition against the government. However, both these chapters also demonstrate that elites are effected by the presence or absence of institutional constraints, and how reforms and policies can shape both the incentives and opportunities for the elite to mobilise electoral violence. In this book, we also put light on a number of additional actors that are usually not at the centre of attention in previous research on electoral violence but play an instrumental role in our understanding of local trajectories of violence. For example, Daniel Agbiboa demonstrate the role played by urban transportation workers and their unions in Lagos, while Tariro Mutongwizo demonstrate the illusive role played by Chipangano, a criminal business network operating in the neighbourhoods of the capital of Harare in Zimbabwe. Several of the contributions also explicitly focus on the more intricate relationships between various actors, and how complex alliances, mutual dependencies and social networks around elections are shaped and formed. For example, Jacob Rasmussen’s chapter on the Mungiki movement in Kenya portray a political elite acutely aware of the potential benefits of involving violent actors in their electoral campaigns, but also the debts they owe their dependants if they are to sustain their support. Next articleTwo narratives are being spun about Zimbabwe’s poll. Which one will win the day?